Attention all you ladies out there. 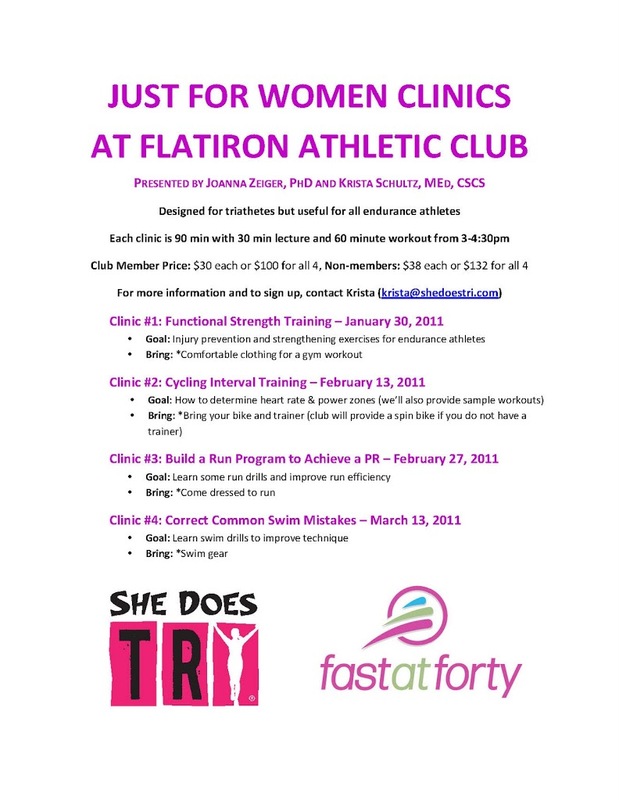 Starting in two weeks I will be leading a series of clinics with my good friend Krista Schultz. Krista recently moved here from Baltimore. She has a background in exercise physiology and runs the She Does Tri camps. We aim to bring our collective knowledge to women of all ages and abilities; do not be deterred if you are a novice or more advanced. 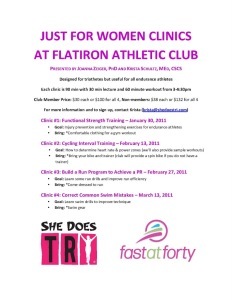 Our series of clinics will cover strength training, swimming, biking and running. Each clinic will last 90 minutes and will be broken into two parts. First, there will be a 30 minute talk to cover topics of interest. Then, we will put you through a workout to work on form and to get an idea of how to execute some of the things covered in the talk. Sign up for one or all. We can’t wait to see you out there. God knows I could more that use this clinic! I can’t think of two better people to put on a better show. Good on ‘ya. Next story Who’s Your Daddy?